While homeowners may dream of pulling off some nifty renovations in their kitchen, putting in a hot tub or maybe pulling together an awesome entertainment center, a new report by the National Association of Realtors® (NAR) finds that homeowners' money would be better spent on other features. For NAR’s 2015 Remodeling Impact Report, Realtors ranked home improvement projects based on expected value at resale (without accounting for project price). Results revealed that the interior project predicted to yield the biggest bang for your buck is right under your feet: your floors. Refinishing hardwood floors will essentially pay for itself—an estimated 100% return on investment, according to Realtors. Other renovations that rank high on ROI include insulation upgrades (95% recovered), new wood flooring (91% recovered), and converting a basement to a living area (69% recovered). The report also found that renovations on a home's exterior can also pay off in spades. 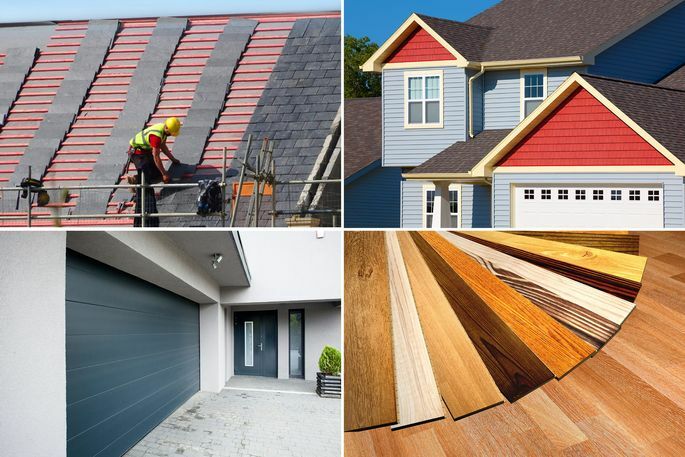 According to Realtors, home buyers love a new roof, which will reap 105% of your costs at resale, followed by a new garage door (87%), new vinyl siding (83%), and new vinyl windows (80%). But renovations aren't just about resale; homeowner also improve their homes so they can enjoy these upgrades themselves. To that end, the NAR report found that 64% of home buyers surveyed say they've experienced increased enjoyment in their home after completing a remodeling project. As for their main motives, 38% of homeowners said they wanted to upgrade worn-out surfaces, finishes and materials, while 17% wanted to add features and improve livability. Thirteen percent merely believed it was time for a change. If that isn't reason enough to break out your tool kit, what is?